These are mostly enzymes or proteins that are involved in several metabolic activities and are coded by the genes that are tested to give a personalized diet advice. Changes in the corresponding gene leads to changes in expression that is not always to be seen negative. 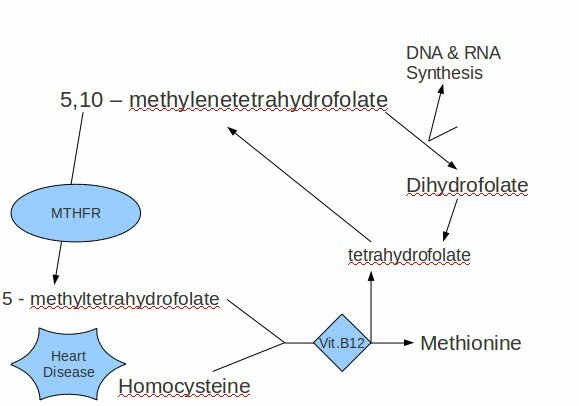 MTHFR is involved in the folate metabolism. It serves as a methyl donor for remethylating homocysteine to methionine (= non essential Amino acid).This requires Vitamin B12. Increased levels of homocysteine lead to a greater risk for heart diseases. The following variations of this gene are observed. Member of the nuclear hormone receptor subfamily of transcription factors where fatty acids are their natural ligands. PPARs form heterodimers with retinoid x receptors and these heterodimers regulate transcription of various genes. It is believed that PPARg is believed to be involved in adipocyte differentiation cause it is expressed in high concentrations within the adipocyte and large intestine while lower expression levels are in the bone marrow, spleen, testis, brain and liver. An important polymorphism in the PPARg gene is the Pro12Ala. The variation Pro12Ala in the PPARg gene is beneficial. It is associated with a reduced risk for diabetes and heart diseases. Its function relies in the detoxification of carcinogens, therapeutic drugs, environment toxins and products of oxidative stress. Genetic variations can change the individuals susceptibility to carcinogen and toxins as well as effect the toxicity and efficacy of certain drugs. The polymorphism of GSTM gene are due to deletions of a part of a gene which in turn results into a lower enzyme activity and is associated with a higher risk towards cancer and autoimmune diseases. Functions as transcription factor that specifically binds to derivatives of Vitamin D (= 1,25 Dihydroxycholcalciferol) and mediates processes involved in bone health. Members of cytokines. (= small proteins that play a role during inflammation caused by bacteria, viruses or metabolic stress) Interleukins are produced and secreted by leukocytes (=White blood cells). Interleukins in general bind to the cell membrane, some interleukins have pro-inflammatory effects while others anti-inflammatory. The gene in question encodes part of the lipoprotein that transport lipids in the plasma and are important to the lipid metabolism. A substitution of one nucleotide by another in the APOC 3 gene is associated with a high triacylglycerol concentration in the plasma which can lead to arteriosclerosis and coronary heart diseases. Variations due to substitution of one gene to another which is a characteristic towards SNP (=Single Nucleotide Polymorphism) are following macromolecules: MTHFR, VDR, APOC 3, IL-6. Variations due to deletion of part of the gene belongs to GSTM. 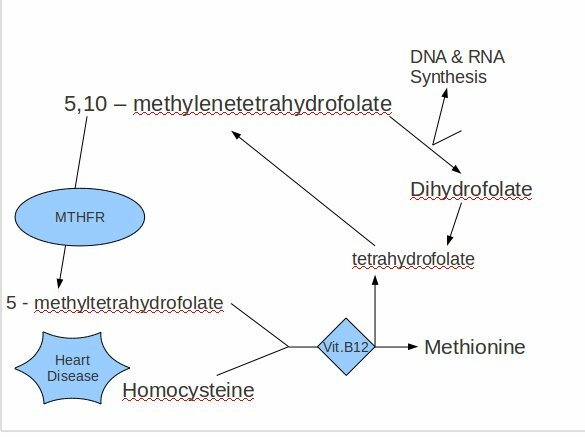 We can conclude that some advices are specific and based on variations found in one gene regarding MTHFR, while most advices are very general and are also important when no specific variations are found. Nutritional foods are complex and consist of various macro- and micronutrients. Foods that contain Vitamin B9 contain also other Vitamins of which the health effect is unknown. Also not everything about the interaction between the different components in food is known. 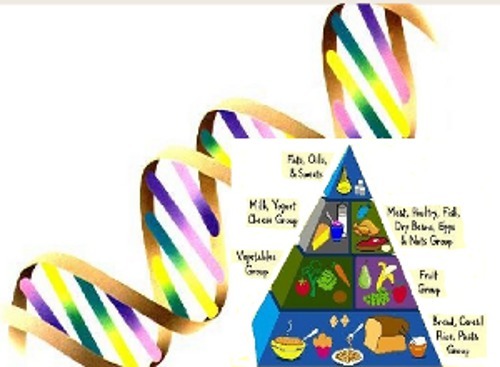 There is a lot of research going on and it is just a matter of time to be able to develop foods that can be matched to an individuals genotype to benefit the health and enhance normal physiological processes.